These adorable bunnies are ready to hop into action and make a room in your home extra stylish! When turned on, this water feature produces soft light and has water cascading from its top level to its bottom. 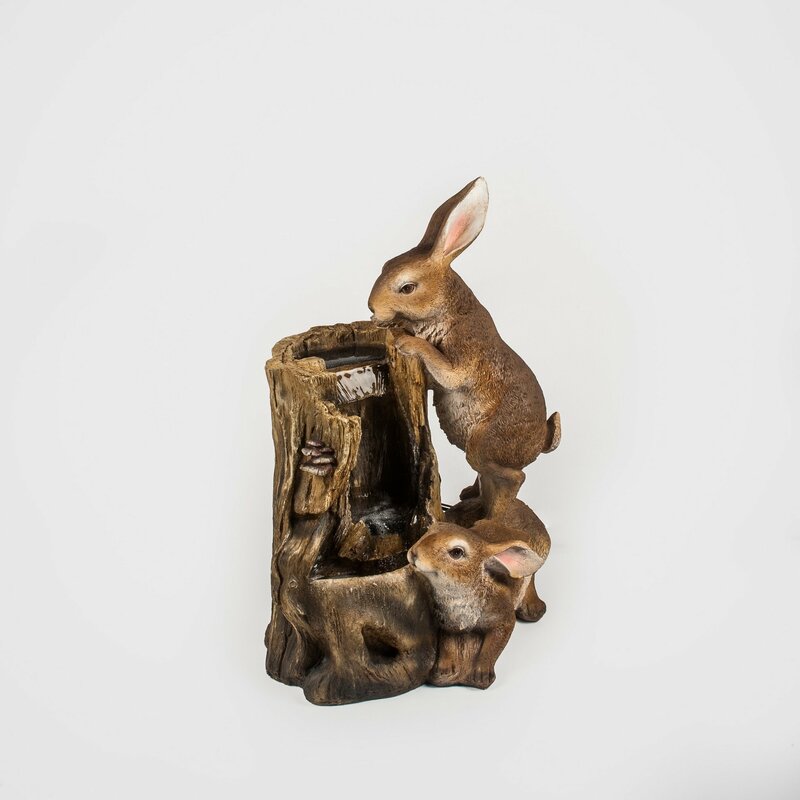 Two highly detailed rabbit figurines peer into the fountain as if planning to take a drink. The Rabbits is a mid-sized water feature standing at 78cm tall. The water flows down the hollowed tree stump, creating a wall of water. There are LED lights in the base of the stump. The Rabbits is made from fibreglass and includes the pump and LED lights.